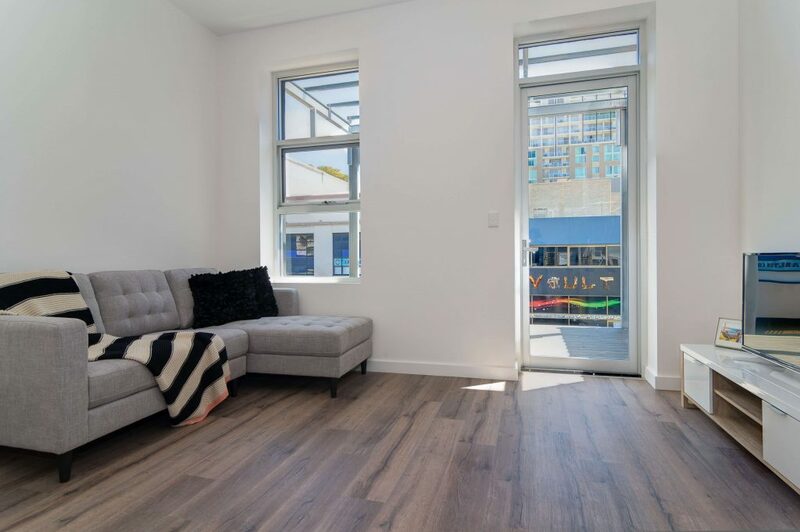 Looking to move into a brand new property, located in the heart of the city? UniLodge is now taking bookings for this exclusive building, designed with luxury in mind. Just a short 350-metre walk from the University of SA City West campus, 1-km to Adelaide University and 1.3km to UniSA City East campus, 290-metres toTAFEe SA. No matter where you choose to study, it is all a close walk to start your day. 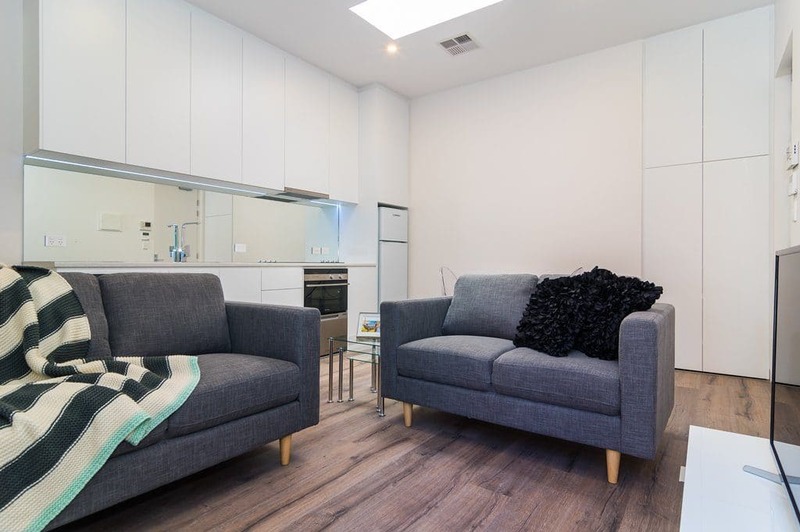 These contemporary apartments are stunning, with extravagant fittings throughout, designed for the discerning students who are looking for something ultra-modern and spacious. There are three apartments which are North-facing, and four apartments that are South-facing. 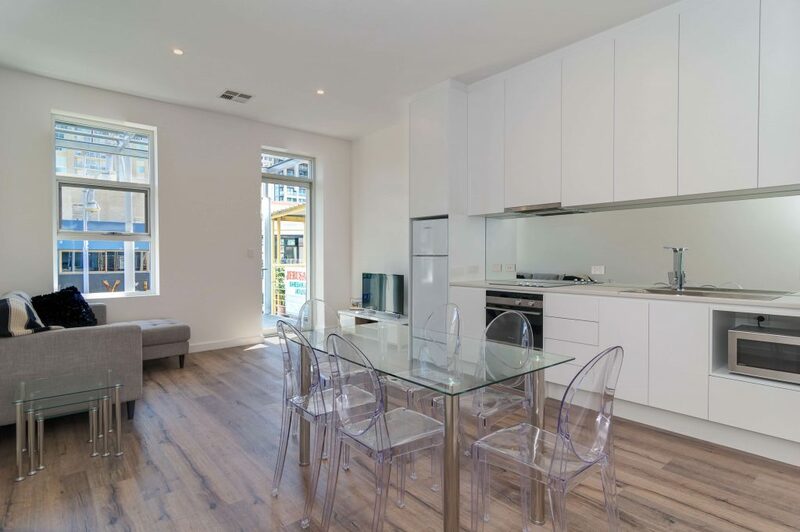 Although the North apartments are larger, the South apartments have been cleverly designed to make the most of the space – perfect for those with champagne tastes and beer budgets! 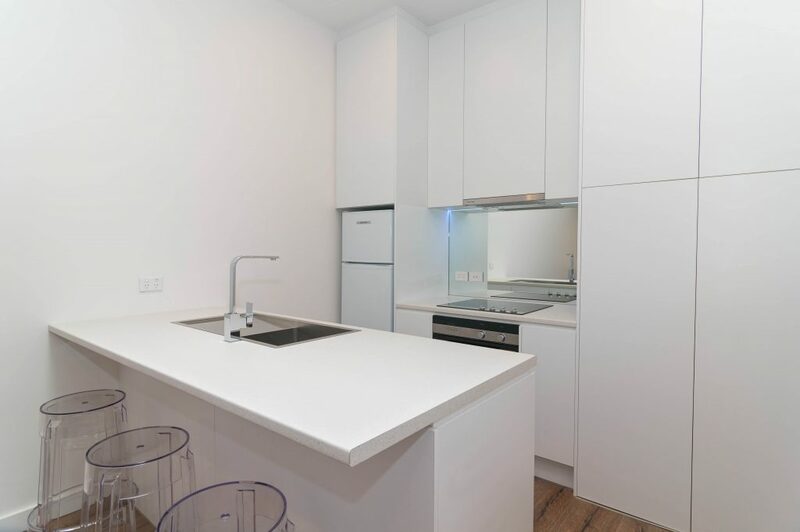 Each apartment features an open plan living/dining area with a full kitchen. The kitchens all have stainless steel appliances, mirrored splashbacks, oven, cooktop, fridge, microwave and dishwasher. You will love preparing your meals in this haven! The lounge features a wall-mounted TV with chaise lounges, the perfect spot to relax with friends or study in peace and quiet. 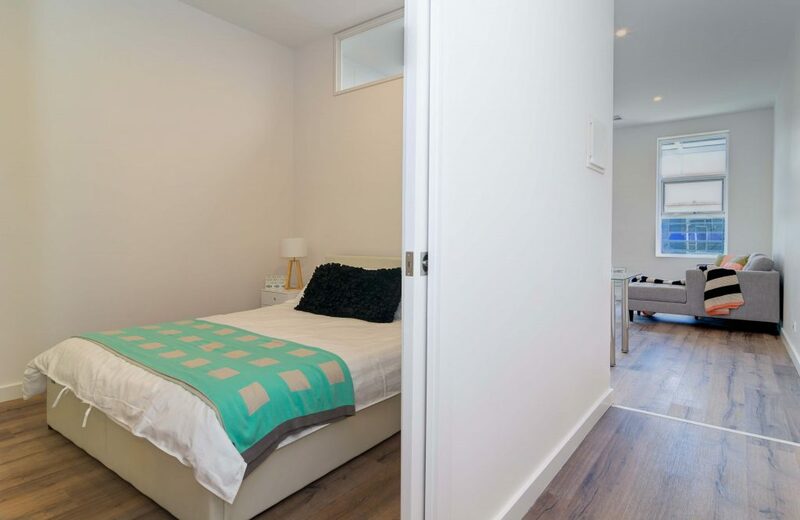 With separate bedrooms (the North apartments have TV’s in the bedrooms too), there is plenty of storage for your clothes in either the built-in cupboards or the cupboards which surround the bed and run from ceiling to floor. The white leather bed itself has a gas lift which gives you more storage underneath. The bathrooms are sumptuous in size and feature mirrored cabinets, plenty of drawers and storage, stylish rainfall showerhead attachments for shoulder-to-shoulder water coverage. Featuring an internal laundry, hidden away behind cupboards, floor to ceiling storage throughout, ducted reverse cycle air-conditioning and heating all the way through. The final touch on these apartments is a glassed balcony area to each apartment – perfect for those warm days to soak up the sunshine. The security on the apartments is first class. With FOB entry to the front of the building, each apartment features a video intercom with CCTV, so each resident can allow their friends to visit without having to come downstairs, but keeping it secure enough that nobody else can access the building otherwise. Thomas House also welcomes non-students, although reference checks will be completed. 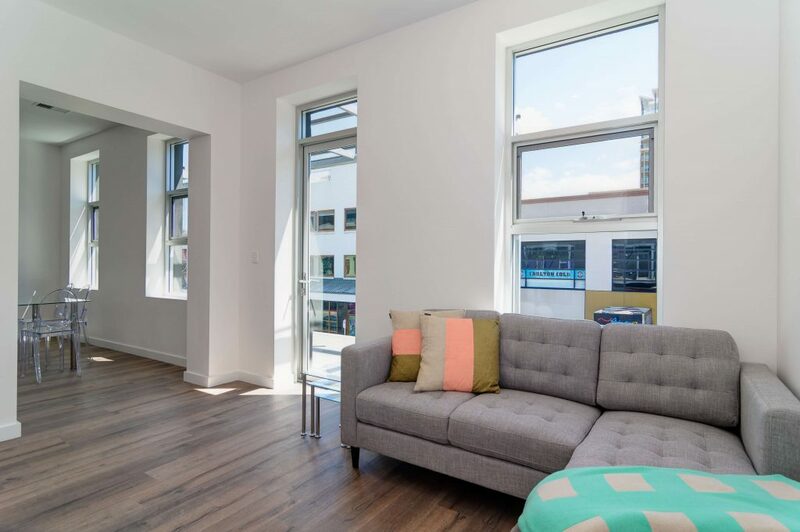 North facing one bedroom apartments – one of the larger apartments with its own large balcony – the perfect spot to soak up the sunshine and relax. 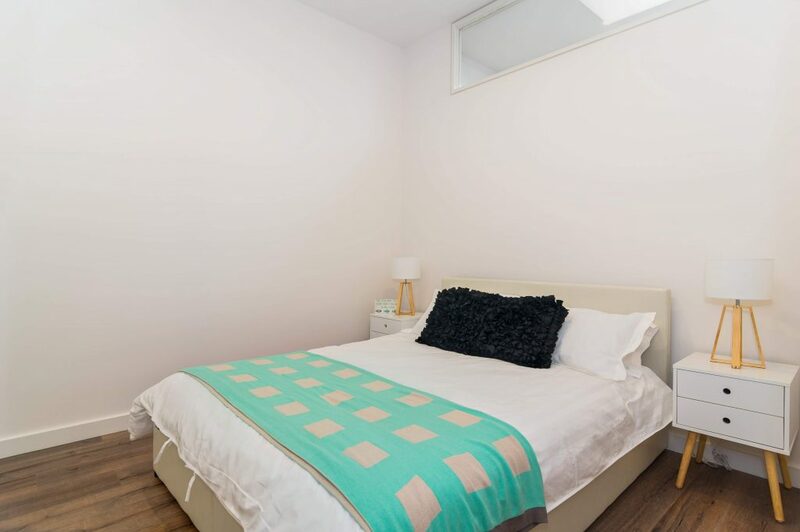 These apartments have a master bedroom with queen size bed, built-in wardrobes, a 40 inch TV in the bedroom, and plenty of storage throughout. The kitchen is perfect for the home chef with fridge/freezer, cooktop, ducted range hood, dishwasher and microwave oven. 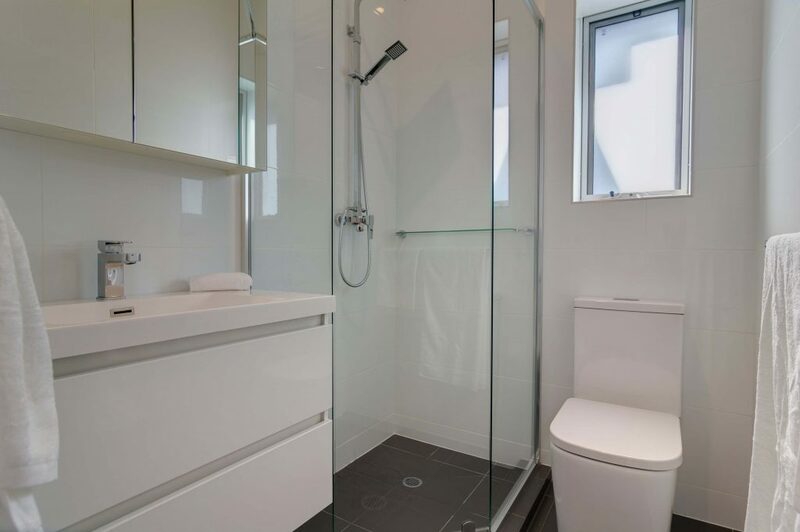 The apartment also includes your very own personal large bathroom. 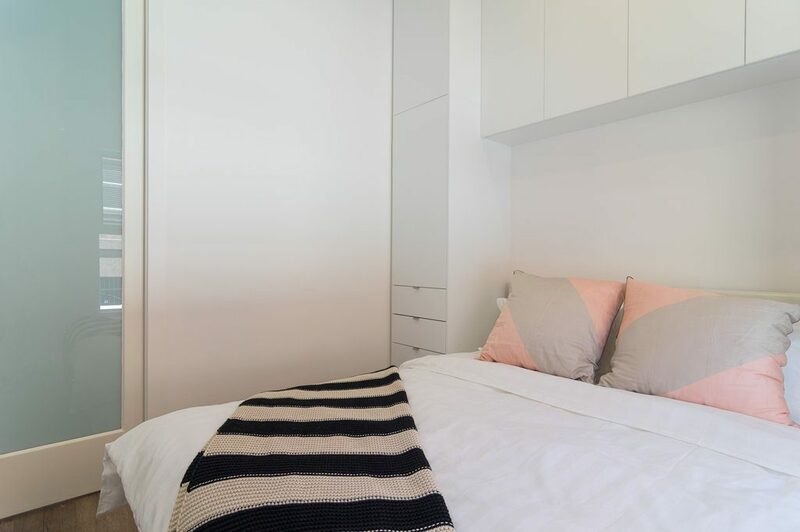 Each apartment features ducted air-conditioning and heating throughout – perfect for those warm or cold Adelaide nights! For added convenience, a washing machine and clothes dryer are provided in each apartment, all stored away in a cupboard with plenty of storage. North facing large one bedroom apartment with a separate lounge and large dining area within the kitchen. You also have your own large balcony, the perfect spot to soak up the sunshine and relax. This apartment has a master bedroom with built-in robes and a 40 inch TV in the bedroom and plenty of storage throughout. The kitchen is perfect for the home chef with fridge/freezer, cooktop, ducted range hood, dishwasher and microwave oven. The apartment also includes your very own personal large bathroom. 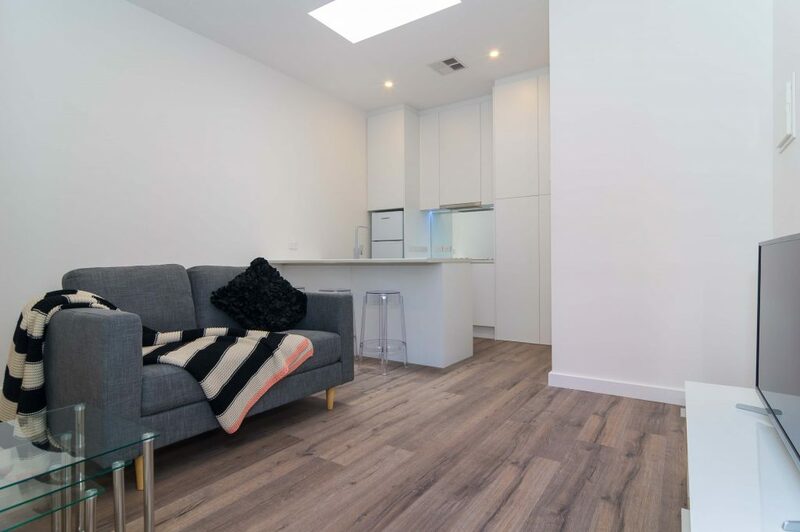 Each apartment features ducted air-conditioning and heating throughout – perfect for those warm or cold Adelaide nights! For added convenience, a washing machine and clothes dryer are provided in each apartment, all stored away in a cupboard with plenty of storage. South facing one bedroom apartment with a spectacular use of space. The bedroom features wall to ceiling storage around the queen sized bed, and the bed features a handy gas lift for more storage underneath. The kitchen is perfect for the home chef with fridge/freezer, cooktop, ducted range hood, dishwasher and microwave oven. 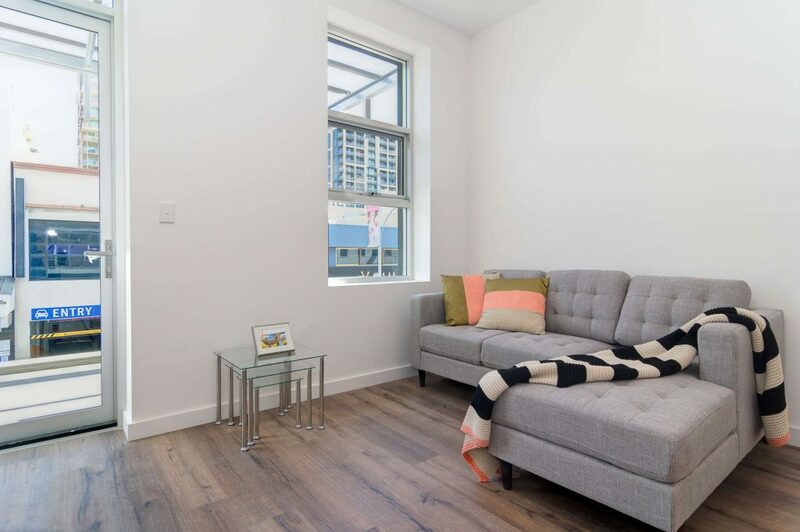 The stylish chaise lounge in the open plan living area is the perfect spot to relax watching your favourite shows on the 40 inch TV or hits the books and study for upcoming exams. The apartment also includes your very own personal large bathroom. 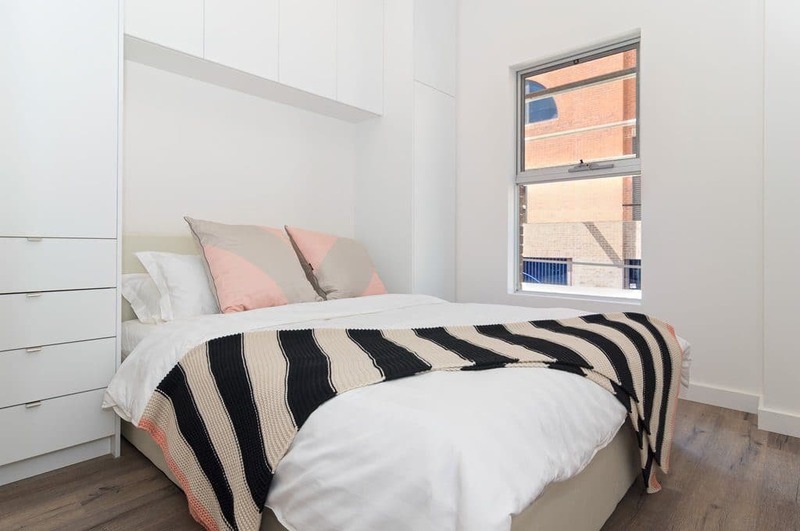 Each apartment features ducted air-conditioning and heating throughout – perfect for those warm or cold Adelaide nights! 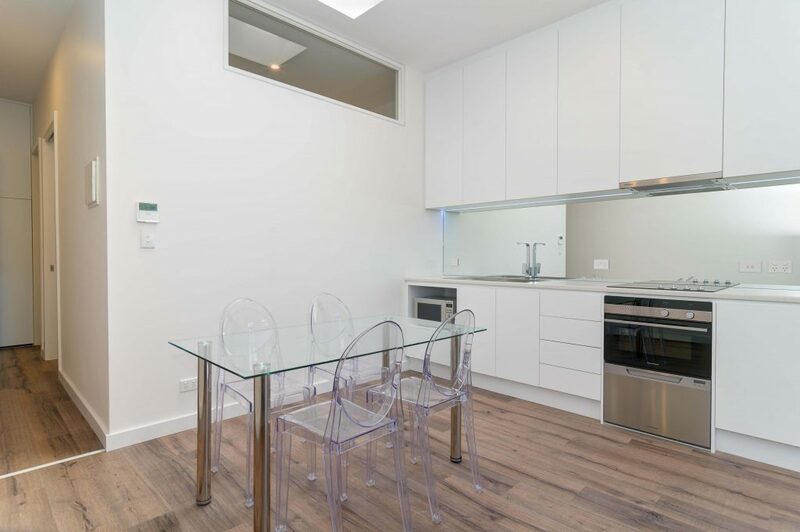 For added convenience, a washing machine and clothes dryer are provided in each apartment, all stored away in a cupboard with plenty of storage. 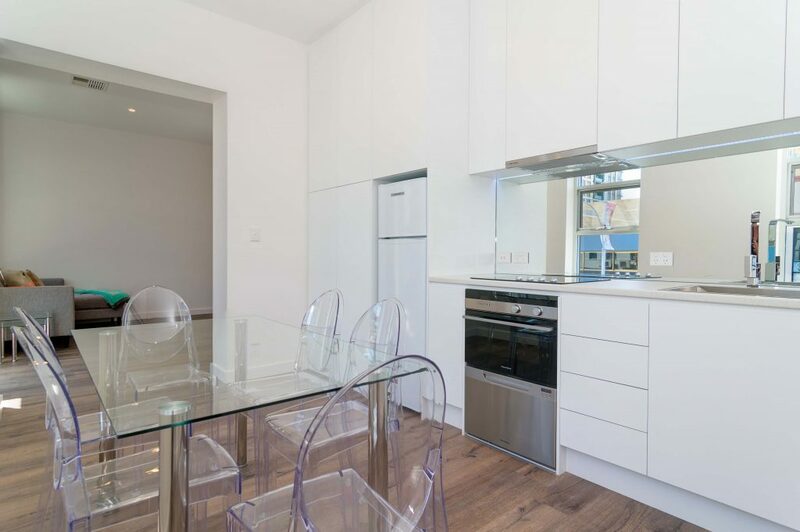 South facing one bedroom apartment with small balcony off the living area, this apartment has been designed with function and style in mind. The bedroom features wall to ceiling storage around the queen sized bed and the bed features a handy gas lift for more storage underneath. The kitchen is perfect for the home chef with fridge/freezer, cooktop, ducted range hood, dishwasher and microwave oven. Each apartment features ducted air-conditioning and heating throughout – perfect for those warm or cold Adelaide nights! 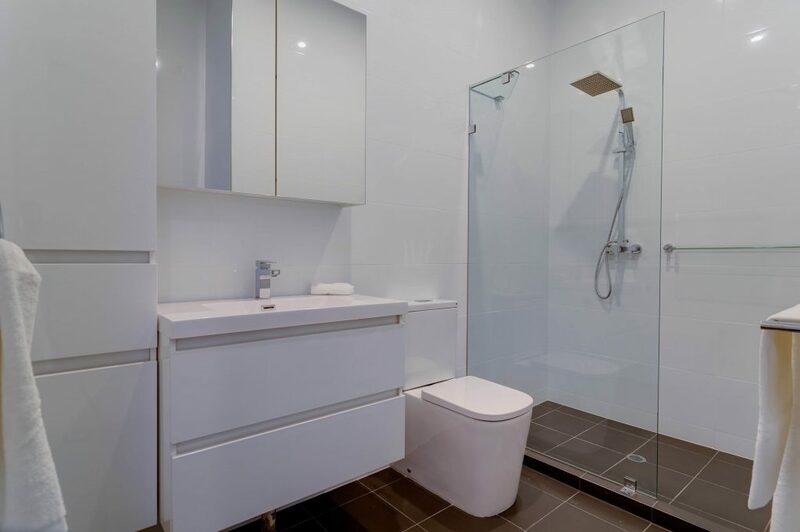 The apartment also includes your very own personal large bathroom. 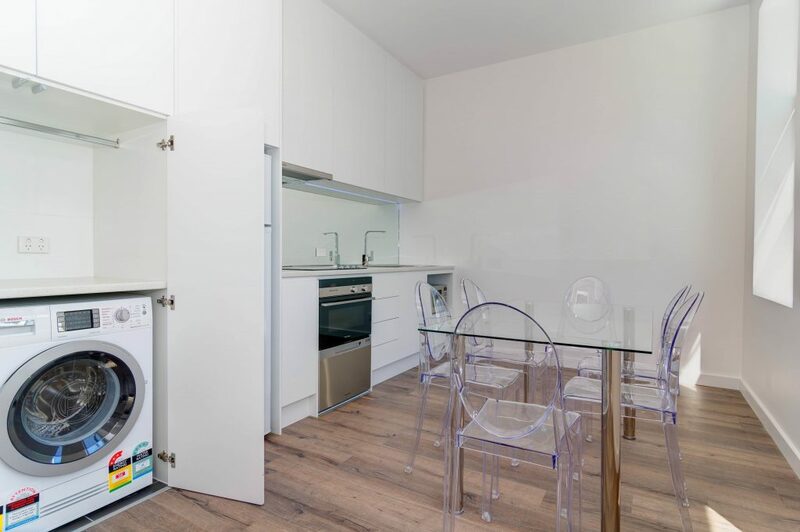 For added convenience, a washing machine and clothes dryer are provided in each apartment, all stored away in a cupboard with plenty of storage.